Back in her happy pony pocket universe, even before the Armorvor invasion, Heart of Stone didn't quite fit in due to her rather large stature and loner personality. When the Armorvors invaded, all her pent up agression and loathing for the saccharine happy attitude of her world's inhabitants manifested itself in the form of many many dismembered wolfen monsters. When she left the dimension with Daisy Cutter and her crew, becoming their air support, this pegasus pony couldn't be more happy with her current line of work. 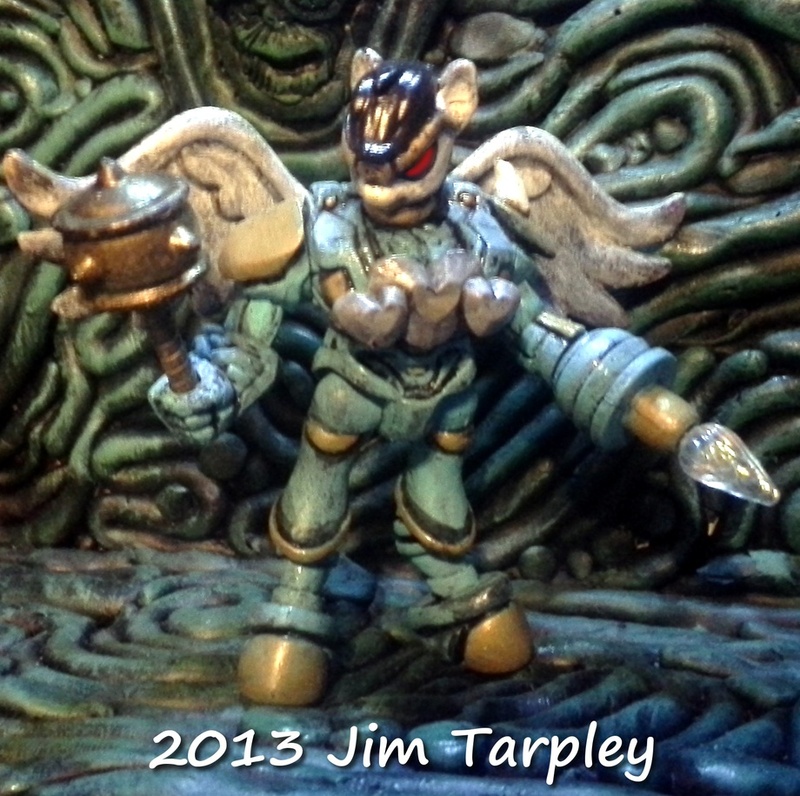 Made with various Glyos and Nistuff parts as well as a head from a blind bag pony. Hand painted and clear coated.